12th June 2012. Warsaw, Poland. 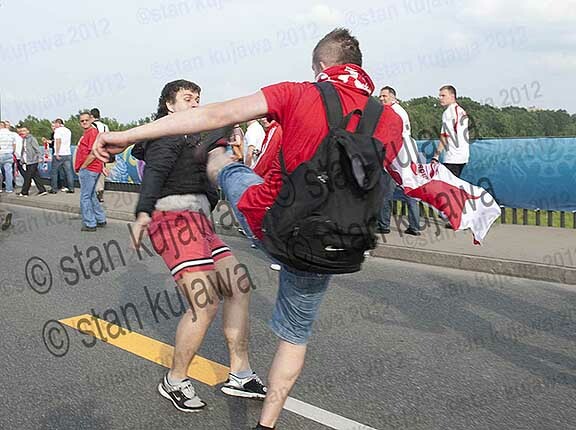 Fighting and scuffles break out on Poniatkowski Bridge over the River Vistula, between Russian and Polish Fans on their way to the National Stadium in Warsaw, before the match. 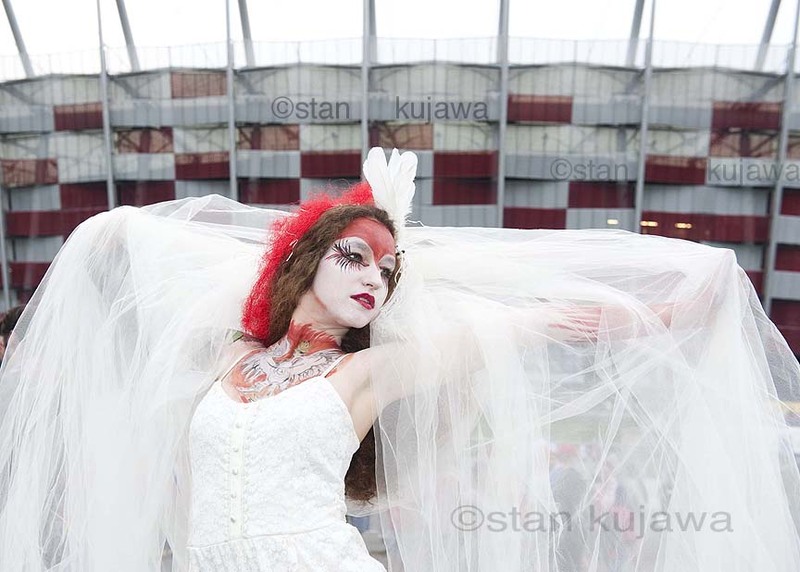 Several thousand Russian fans had marched about a mile to the Stadium to celebrate one of their national holidays. © STAN KUJAWA. 2012. All rights reserved.